This issue of WW is especially for dear friends of many years ago. Recently, a group of us from MHS suddenly and spontaneously all found ourselves laughing around the dining room table of Donna (Wessel) and Frank Durant in AZ. In the photo below, can you find 3 Wessel sisters and 3 Brown sisters? The five 1962 grads in matching t-shirts were suddenly “the kids” in the group. 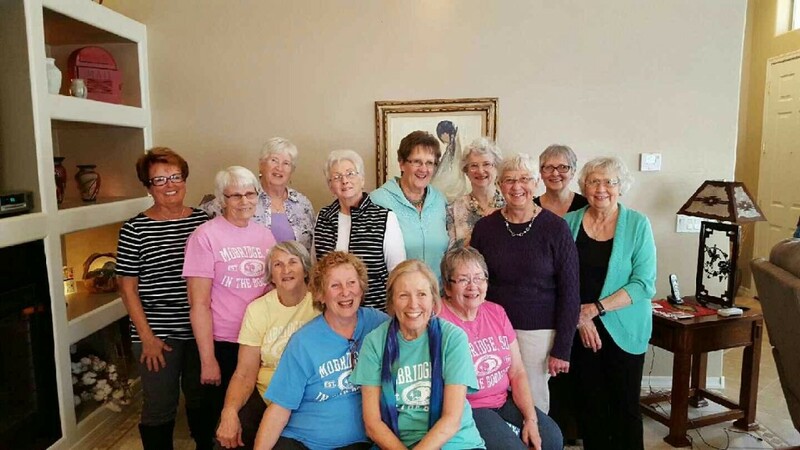 Left to right, but omitting the 5 t-shirts: Carol Piefle (from Eureka and then RapidCity), Fidder (yes, even her grandkids now use that name) Brown, Ione Strohl Oster, Gayla Dorn Kramme, Vi Brown, Sharon Kindt Cripe, “youngster” Joyce Wessel Piefle, and our gracious hostess Donna Wessel Durant. 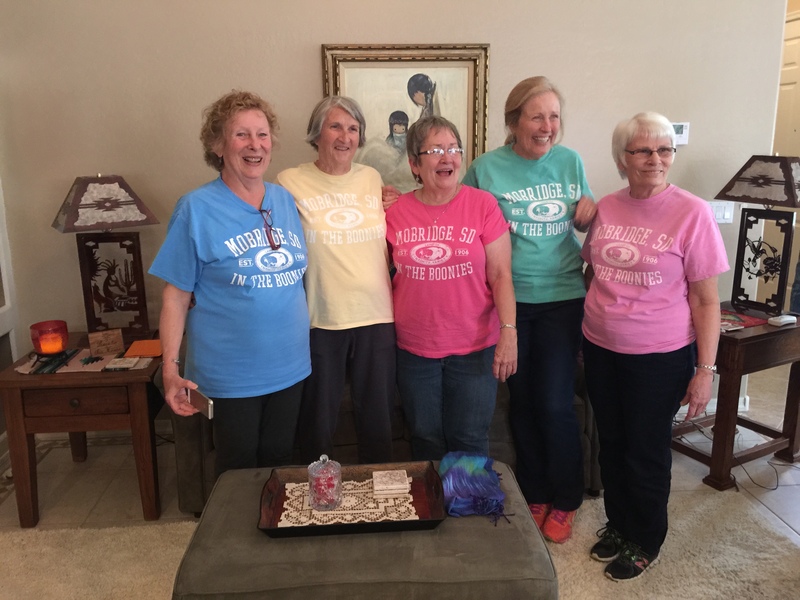 Ok, now L to R of the t-shirts: JoAnn (Runny) Rundlett Brenner, Donna (Tiny) Brown Glerup, Judy (Toots) Lind Coggeshall, me, and Diane Wessel Kindt. In the photo below, you can see that the 5 1962 t-shirts are still having fun. and now also stores our wonderful memories. 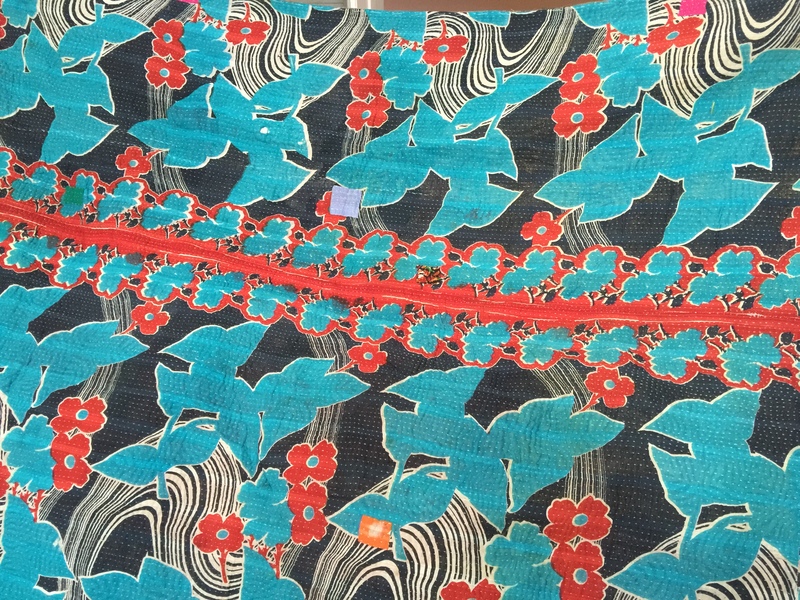 Can ou see all of those gazillion teeny-tiny hand stitches?